Do you ever feel like quitting? Quitting a job, or perhaps, a responsibility? As I drove along the road, alone in my car, I began to think of how I could tell one of the children’s directors at church that I should stop teaching a kindergarten class on Sundays. Many times I feel that I have not adequately prepared for the time. This morning, I had begun to feel that it might be best for me to quit. Had I prayed about this matter? No. Discouragement had crept inside, coloring my thoughts. When I arrived, I looked on the desk for the materials needed for the class. As I began to read the lesson, I was captivated by the words. The emphasis for the day was on how God will comfort those who mourn—those who mourn for their own sin and those who mourn because of hurt in their lives. 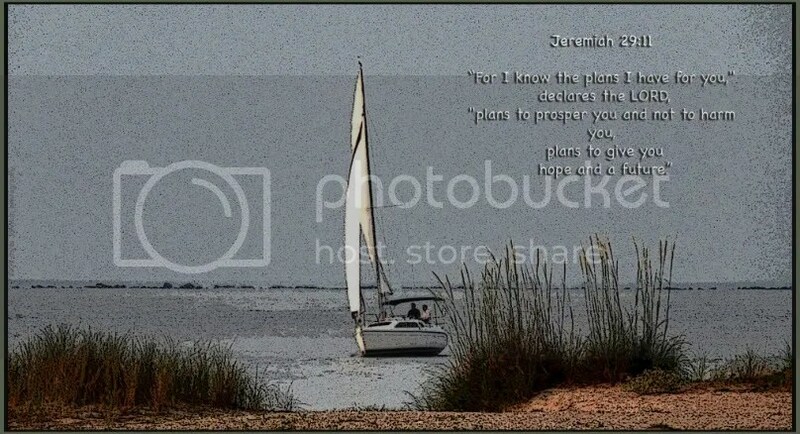 One of the scriptures included in the overview was Jeremiah 29:11, which tells of God’s plan to prosper us and not to harm us. The message on the paper was being sent to my heart as fast as I could read the text. I picked up a yellow crayon and began to underline specific statements. Each paragraph seemed to be written just to me. Through this lesson, I found God’s comfort. Knowing that, surely it must have made a difference in how I spoke to the children today. Quit? I don’t think so. I am eager to learn what God has for me and the kindergarteners next week. Great thoughts and a great illustration. I’m wondering what sort of filter software you used to produce that effect. So many called of God do not want to do what He asks and often feel like quitting…you were among great company! Thanks, Myra, for leaving the note on my blog, answering my question about the photo. In Houston we set a new record high temperature today, so we have heat like you’ve been having. Yet I’m thankful for rain Sunday; an answer to prayer.